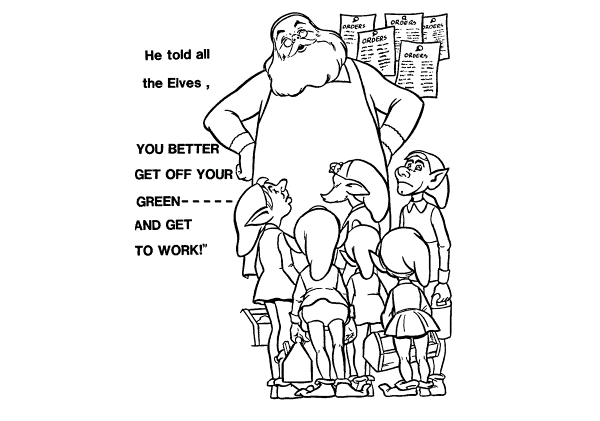 He told all the elves "You better get off your green - - - - -and get to work!" 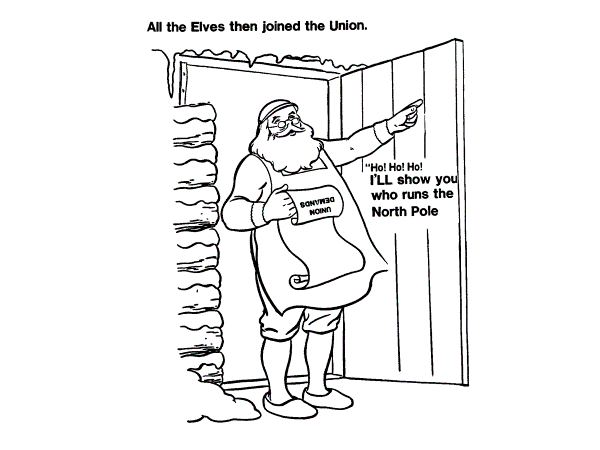 The elves all then joined the union. working conditions in the toy shop. 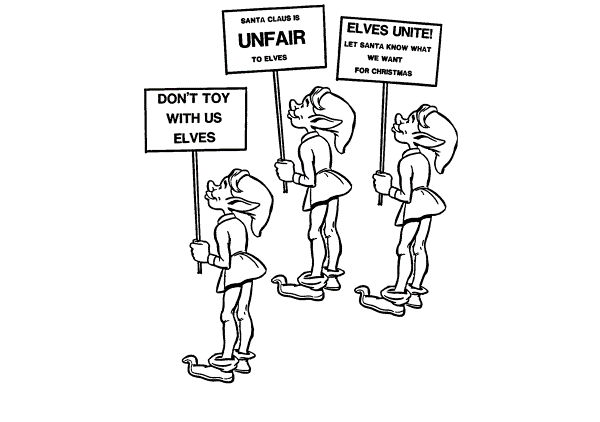 A contract was signed, and by Christmas there were plenty of toys for all the good little girls and boys. 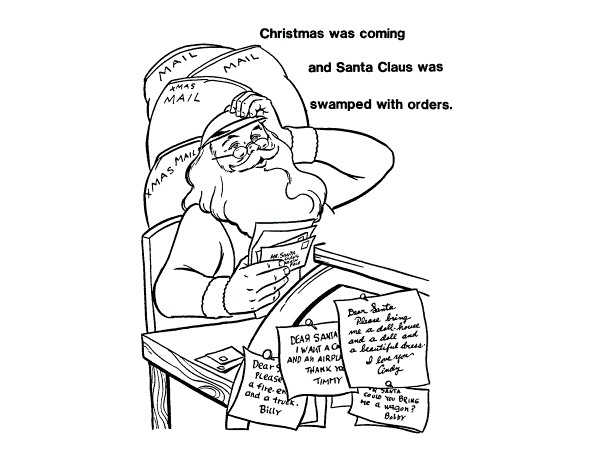 And they told Santa what they wanted for Christmas.